This could sound like advice from Captain Obvious. We get it. But a young beginner may not realize what “in control” actually means, and it looks different for different skiers in different situations. To ski in control you pretty much just need to be able to stop and turn quickly at any time, to avoid potential issues. When we fall we have a “spill zone”. That’s the space we may cover while sliding during a fall. If we are standing still and fall down, we’ll fall to the snow in the same place the fall began and our spill zone is very small. If we are skiing fast and fall, we can slide a long distance before stopping. This is important because there may be objects or people in that pathway. All the sudden, a trip and fall has bigger potential hazards. It takes experience to learn how much space, and how much or how little speed you need to maneuver given your own skills and features of the trail you are on. That is “skiing in control”. Skiing in the Adirondacks as a kid, the best snow was often a lip of snow pushed up on the edge of the trail. That’s where my friends and I would make tight little turns, back and forth over the edge of the trail, never thinking about how close to the tree line we were skiing. Our spill zone had a lot of tree line in it! “Adirondack” translated means Bark- eaters. I’d have to admit to being a true Adirondack skier. 2. Yield to the uphill skier. Just like a roundabout on the Frontage road, if there is a skier already on the trail uphill of us, we must take care not to slide in directly in front of them. Anytime we have stopped on the trail and start up again, we must look uphill first to be sure we’re not jumping in front of the proverbial bus. We also need to look up hill anytime we are cutting across the trail. Even if we are already downhill of traffic, if we suddenly change our path and turn sharply to one side, the skiers uphill of us may not anticipate our altered route and will need move fast to avoid us. Looking uphill before starting skiing, or before changing our path is a HUGE part of keeping ourselves and our kids safe. “Look up” is a great chant when starting up with kids in tow. As an instructor leading a class I would often point uphill when crossing a new trail to remind the kids to look up for themselves as well. 3. Yield to the Downhill skier. I’m paraphrasing a little and yes we just finished yielding to the uphill gang. When is it our turn to be yielded to? The answer is the same as when driving a car. It doesn’t matter who had the right of way, when there is a collision no one wins. So we need to watch for the skiers downhill of us as well. If they are moving faster than we are, they are not an issue. If we want to pass them, we need to give them plenty of space and anticipate that they too could fall or change their path. If we are passing between a downhill skier and the side of the trail, we’ll want plenty of space. Cutting it close doesn’t earn us any cool points and only makes the possibility of a collision of some kind greater. If we’re passing a snowboarder we may want to pass on their “toe side”, so they are facing us and can see us more easily. As instructors we participate in many on hill clinics, and often employ a ‘no- passing ‘rule. We’ve learned that with shaped skis, we all make a bigger arced shaped turns and can cross arcs while passing each other potentially colliding, especially when we are focused on a training task. As a family, the ‘no passing’ rule wouldn’t hurt to keep you all in your own space too. As kids my friends and I used to race our dads and we never used the no- passing rule. In my mind’s eye I can still see the Great Multi –Dad Yard Sale of 19.…never mind, it was a while ago. 5. Stop in safe places. Captain Obvious speaking again. But, skiing is so fun and all- consuming we can forget where we are. In short, we are trying to stop out of the way and where we can be seen clearly from uphill of us. Stopping under a cool jump we just conquered leaves us invisible to the skiers uphill of us. Stopping in the middle of a trail puts us right in the way of others still skiing. If we are stopping along the side of a trail we need to be sure we aren’t blocking the exit from a fun tree route (not root) in that spot. This is one of those common sense rules that we can miss just because we’re very distracted having a ton of fun! You might let your kids practice picking out your next meeting place on the hill and talk about the virtues or dangers of that spot. 6. Obey the Signs and Closures. 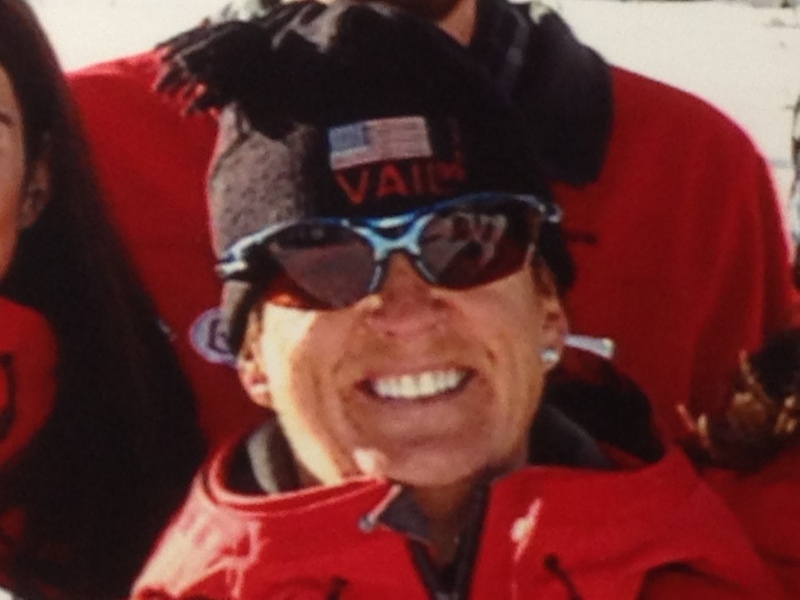 We at Vail have a tremendous professional Ski Patrol and they love for us to have as much great skiing as possible. If they have posted a trail closure, there is a good reason and we MUST stay off that trail. As much as it might look like the best stash of powder you’ve seen all vacation, there is a reason that trail is closed. If you are not sure if the portion you want is really closed or not…LISTEN TO THAT LITTLE VOICE ON YOUR SHOULDER. When in doubt, do the safe thing! If it looks closed at all, assume it is closed. Be that adult role model for your kids and help them learn to respect the decisions of those professionals. As we say in ski school, ‘a rope is a rope is a rope’ and we NEVER cut under a rope. No powder turns are worth the danger of skiing a closed trail. 7. 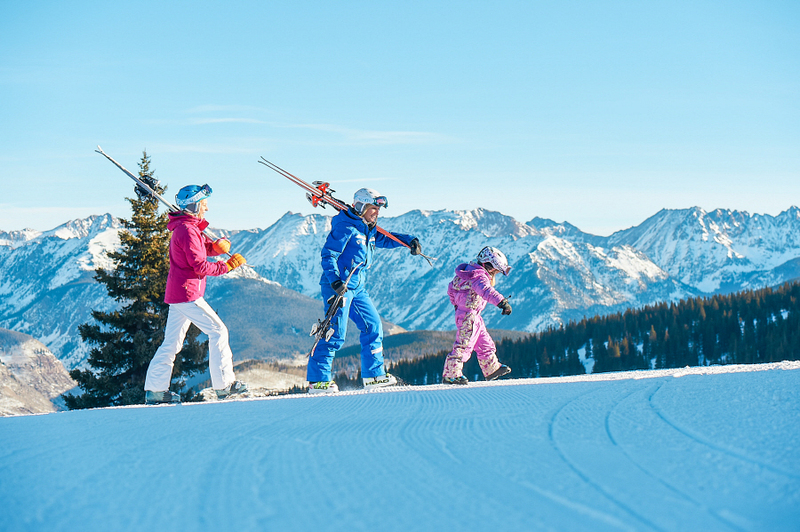 Know how to ride the lifts…chairlifts. This seems like a gimme. You don’t exactly need a license to ride a chair lift. Most of the time you stand, sit, stand and voila, you are back on top of the hill again. But accidents do happen when folks aren’t paying attention. Our Ski School instructors are trained to carefully organize the kids outside the lift line maze before going in. As best they can, have the kids lined up in order and shoulder to shoulder with their riding partners. If they are going to ride up with an adult, we load the adult(s) in the middle of the chair. This seems counter intuitive. As adults protecting kids we think we want them inside and between the adults. But loading the kids on the outside gives the lift attendants good access to help get the kids seated properly as we are loading. Once on the lift, we immediately pull down the Safety bar. There is just no harm in it. We can rest our legs and have that extra safety of having the bar in place right up until time to unload. Vail has even affixed trail maps and other information on the bar for your use. Once in place, there is really no room for “horse play”, instead we can all enjoy the view, the rest, the convenience, swap stories, or plan our next run…or Epic Burger. On Vail Mountain we have a few Palma lifts and Gondolas. Our Lift attendants are more than happy to help you with instruction riding any of our lifts. Please don’t hesitate to ask as needed. 8. Have Retention devices on your equipment. What? This means that you need to have working ski brakes on your skis, so if your skis come off, they won’t travel far from you. If you’ve ever seen a “run- away” ski you could think you’ve seen your first missile. None of us want your ski to take off down the trail like a missile. No good can come of that. At most, it can be very dangerous to anyone in its path and at least, it is very inconvenient for you. Snowboards can have a leash on them that attaches to the boot. This would prevent the board from getting away as well. Since snowboards don’t release the way skis do, this serves a slightly different purpose but is still a good idea. There is a lot to keeping ourselves and our kids safe while sliding down our hills, but as someone in the industry for a while now, this code, with the boring, unexciting name, is my pick for the best practices. It’s pretty simple; ski in control, look up, look down, stop safely, obey signs, ride the lifts respectfully and have brakes on your skis. If you have a thought that something is less safe, listen to that thought. When in doubt do the safe thing and come back tomorrow ready to ski again! There it is! Be safe, teach your kids to do the same, and have a great time on our favorite hill!